IT has been this way in my life that such "correlations of cognition" have been revealed along the way that I have asked myself continuously how it is I know what I know? So very basic in it's shape it can symbolize many things to many different people. The basic factor here is that we choose this design to exemplify a systemic approach to what our minds can relate in viewing reality. I've had to make some conclusions in my life that are the basis of my views with regard to science. Have a basis about my thoughts in relation to those who truly wanted to know about life. The answers life may of provided for us. Who had not sought to have someone supply this for you. That life, would be so easy that we could without work have been answered indeed? One had to turn that questioning state back onto itself. Ask that you answer your own question. What faith is there in each of us not to trust that such a journey to this realization may be supplied by, that all that has ever existed and, will ever exist, is set before you. What is information, and where does it reside. Only then, in the brain? In those cells who have been awakened and new routes establish to a multifaceted cognition of that greater reality and overlay, is the question of coming to how we have that access to it? Some would be well to read the book that Phil had referred to me. This blogsite holds a perspective that I think would have been part of Plato's answer to the times before him. That such discourses, had become the example as John Pirsig reveals. John Pirsig over threw the Chicago ole boy's club view through introspective realization, as a staunch educative systemic pursuance in science, that needed another aspect "of the horn" to reveal that "quality of life," could not, and should not have been wiped away in the progression of an Aristotelean view. Did John Pirsig's own brilliance effectively disable his contribution to the world once he descends into the cave of all life? That it had been a descendant into the valley, hence, the question and purpose gravity is to serve?? Who of us to now had such a route in Mind and matter, could have not been set up to see, that life in the greater struggle could incorporate an mountain top view to life, as a route to the valley in gravity as science in a most illusory way? I beg to differ here. I think John's view of Raphael in the heading image above, was underestimated. 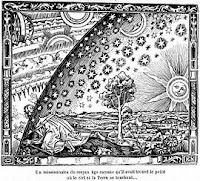 In the spirit of Plato such a thought was and is revealed in one's own "trail and tribulation" as to working the "correlation of cognition" that had formed in views, is about our relationship with reality. Is about this internal/external relationship that while having ventured inward, was revealing an outward outcome. So yes the idea here is that such a integration is needed to push insight to new heights. While I will have been circumvented to the life I choose in family and ideal as a worker does not mean this view while forming could not be given to the universities and the new explorers. Recognition of such an educative system has been established in my view on foundation principles established in the teaching method by which PI stands. Such rhetoric then is to reveal the thinking mind it's road to an established view presents itself the opportunity to have itself examine and support in question by what may have been missed. If given a talking stick it is a time then that such a stand allows the speaker to speak his mind, and then open themself to interrogation to help her/him along his way. Help all of us along the way. As there was this recognition myself of what was appearing while John Pirsig reveals the totality of his experience in journey and his decline, why is it not possible that knowing what we know now, that such examples of history in artifacts may have a contribution to the state of Plato and how he came to provide his point of view in the orations of the character that are represented in the dialogues? In the 1920's about the only entertainment that came to the rural community of Leakey, Texas was the traveling tent shows. This form of family entertainment would come to the canyon about once a year to the delight of all. Everyone looked forward to the horse drawn wagons that brought the much anticipated entertainment to town. In later years the horses were replaced by the Model T Fords but this form of transportation did not deter the excitement. It is important sometimes to hone in on exactly what sets the mind to have it exemplify itself to a standard that bespeaks to the idealizations that can come forward from a most historical sense. It is in this way that while one can envision where the technological views have replaced the spoken word in movie pictures, we can see the theatre above as an emblazoned realization of what changes has been brought to society and what may have been lost in some peoples eyes. This is a photograph of author and philosopher Robert M. Pirsigtaken by Ian Glendinning on the eve of the Liverpool conference of 7th July 2005. What is in mind is a sort of Chautauqua...that's the only name I can think of for it...like the traveling tent-show Chautauquas that used to move across America, this America, the one that we are now in, an old-time series of popular talks intended to edify and entertain, improve the mind and bring culture and enlightenment to the ears and thoughts of the hearer. The Chautauquas were pushed aside by faster-paced radio, movies and TV, and it seems to me the change was not entirely an improvement. Perhaps because of these changes the stream of national consciousness moves faster now, and is broader, but it seems to run less deep. The old channels cannot contain it and in its search for new ones there seems to be growing havoc and destruction along its banks. In this Chautauqua I would like not to cut any new channels of consciousness but simply dig deeper into old ones that have become silted in with the debris of thoughts grown stale and platitudes too often repeated. I wanted to take the conversation and book presented by Phil and immortalize it in a way by laying it out for examination. Regardless of my opinions and viewpoint, the world goes on and the written work of Robert Pirsig persists as a "object of the material." In the beginning, no matter the choice to illuminate the ideal, it has been transgressed in a way by giving the symbols of language to a discerning mind and verily brought to that same material world for examination. How ever frustrating this may seem for Pirsig, it is a fact of light that any after word will reveal more then what was first understood. Reflection has this way about it in the historical revelation, of how the times are changing. Things dying and becoming new. The moon a reflection of the first light. The conclusion of the whole matter is just this,—that until a man knows the truth, and the manner of adapting the truth to the natures of other men, he cannot be a good orator; also, that the living is better than the written word, and that the principles of justice and truth when delivered by word of mouth are the legitimate offspring of a man’s own bosom, and their lawful descendants take up their abode in others. Such an orator as he is who is possessed of them, you and I would fain become. And to all composers in the world, poets, orators, legislators, we hereby announce that if their compositions are based upon these principles, then they are not only poets, orators, legislators, but philosophers. Plato, The Dialogues of Plato, vol. 1 [387 AD] PHAEDRUS. IN announcing himself in the written work with regards to the IQ given in signalling the identity of the character Phaedrus, it was important that one see this in a way that excuses are not made, and allowances not be set forth for what was to become the lone wolf. John Nash too, had his excursions into the bizarre as well, was to know that in the "end of his synopsized life," a certain contention that he had to deal with in this inflection of his disease, as part of his make-up. Was to deal with, while now, he continues to move on with his life. He is aware of the intrusions that personage can do as it infringes from the periphery, as ghosts of his mind too. To me in reading John Nash's biography in historical movie drama, was to bring attention to what cannot be condoned by exception, when allowing genius to display it's talents, while causing a disruption not only to themself, but to see the elite make allowances for these transgressions. Pattern seeking is not to be be rifting the idea, that we cannot look into the very structure of reality and see what makes it tick? Just that we do not get lost in travelling the journey. Practising escapism was to deny oneself the responsibility of becoming whole. To allow for genius, as an exception, would mean to not recognize that the intellect is part and parcel of the greater whole of the person called Robert Pirsig or John Nash. Who of us shall placate failure as a sure sign of genius and allow the student 's failure as acceptable? This was a transgression seen from another perspective and as afterthought realized in a mistaken perception "about broadcasting Phaedrus" as some towering voice from the past as relevant in todays world, because of the location and time in history? While I may use the alias of Plato and look at the substance of his written work, it is also from that view point such a discussion had to take place within the context of the written prose about two people in this Socratic method, that while worlds in the dialogues existed in speech, no such persons were there at the time. Yet, such thoughts are transmitted and established in that historical sense, and moved forward to this time. 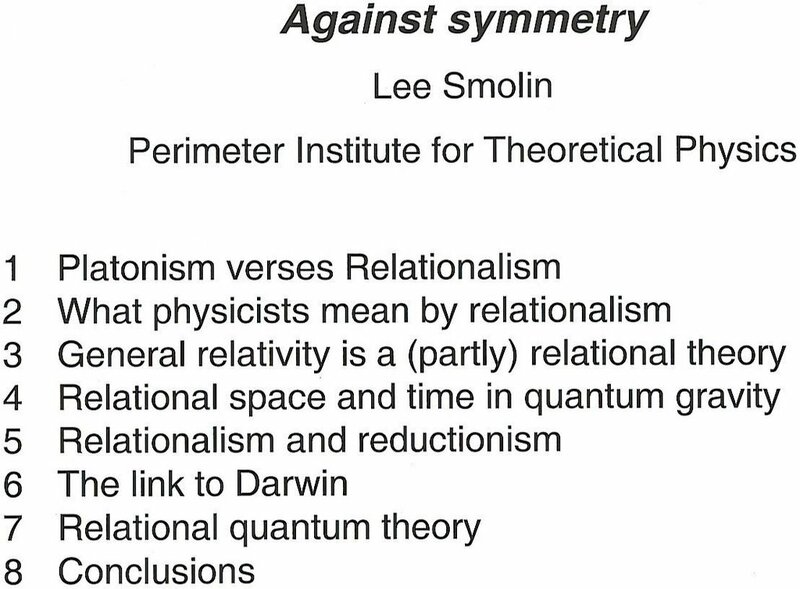 To me there are two lines of thought that are being established in science that in Lee Smolin's case is used to move away from the thinking of the idea of Plato's symmetry by example. To see such trademarks inherent in our leaders of science is too wonder how they to, have immortalize the figures of speech, while trying hard to portray the point of view that has been established in thought. These signatures have gone from Heisenberg to Hooft. And the list of names who have embedded this move to science, as a education tool, that is always inherent in the process. That reference is continually made. IN this sense I do not feel I had done anything wrong other then to ignite the idealization I have about what that sun means to me, as the first light in a psychological sense. Where it resides in people. How divorce we can be from it while going on about our daily duties existing in the world. That there also resides this "experience about our beginnings." To ignite what the word of geometrics has done in the abstract sense. How much closer to the reality such a architecture is revealed in Nature's way, to know that we had pointed our observations back inside, to reveal the world outside. .....and we are it's builders? So beyond indeed, is the static realization of the structure of things. This is a more definable recognition of something that is very fluid and expressive. It is by our own humanistic natures that we like to compartmentalize? While this quote of Einstein is somewhat revealing of what can flash across the mind, it is by intense work that such a time allows for things to gather, and in this work, it will inevitable makes sense. Such cultivation allows for new things to be born and in such nurture and contemplation, something will eventually emerge. A picture of flux lines in QED (left) and QCD (right). Although it didn't properly describe strong interactions, in studying string theory physicists stumbled upon an amazing mathematical structure. String theory has turned out to be far richer than people originally anticipated. For example, people found that a certain vibrational state of the string has zero mass and spin 2. According to Einstein's theory of gravity, the gravitational force is mediated by a particle with zero mass and spin 2. So string theory is, among many other things, a theory of gravity! This points to a reductionistic view about the nature of reality. That we are part and parcel creating the constituents of the reality that we see, has a glue that binds, and keeps it together. For each this glue is a process that has meaning for each of us. 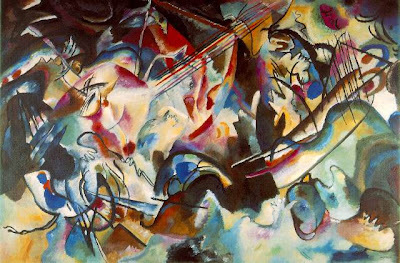 While one would wonder where such motivation would allow each to perceive it as so one might ask what value is assign each stage of expression to see that such a scale has been reduce to a quality of a kind? It's music? In Hiding in the Mirror, astrophysicist and cosmologist Lawrence M. Krauss addresses the concept of extra dimensions, from its appearance in popular culture such as Alice in Wonderland and The Time Machine to theoretical physics areas such as the theory of relativity and string theory. In fact, I would say that the book splits roughly 50/50 between cultural and scientific topics, which is part of the point of the book (that extra dimensions are tied to both areas), but for those who are specifically interested in the scientific aspects there are other books (such as Lisa Randall's Warped Passages) which address the scientific aspects in far more depth. According to Krauss, extra dimensions have captured the human imagination well before it entered into exploration by physics in the last century or so. The book covers how the concepts were viewed by those in the past, as well as more recent science fiction, such as Star Trek (one of Krauss' favorite topics, as author of the bestselling The Physics of Star Trek). Much of this material is entertaining, but for those who are wanting to get to the heart of the physics, it can feel like filler. 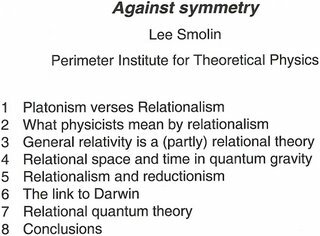 About 100 pages of the book focuses on the recent work to find a unified theory of quantum gravity, focusing predominantly on string theory (with some mention of predecessors). This has been one of the areas where extra dimensions have become extremely dominant. Though Krauss exhibits some genuine skepticism about the track string theory is on, I think calling the book a criticism of string theory would be going a bit far. Krauss is placing string theory within a larger framework of extra dimensional movements in the past, many of which have proved incredibly enlightening and some of which have not done much. It's left to other books to determine whether string theory has any scientific merit. So string theory is, among many other things, a theory of gravity! Some may even call "hills" mountains. Depends on where they think perspective is heighten in relation to where they see themself in the world, and where a better locations allows for a more expansive views of things. This is psychologically important to realize that inherent inside of us if one does follow the tenet of Know Thyself by Socrates. Such a plan would have been understood in the examination to see a relationship in continuity is topologically important with the world around them. Not be self-centred, but to move progressively in the world may call for understanding this relationship with the environment. What shall proceed the understanding that the arche is fully understood as the central themes of characters, to see it exemplified in how you now approach the world in your own way? It becomes easier for you to understand, that this "imprint of the concrete in the painting I had selected of the Raphael" was to show such a school of thought, was exemplifying the truer principle of the wisdom seeking, while of course approaching the modern day world based on that Socratic method in science. But I only show by example, and recognizing this facet of the nature of the individual is more the idea that what ever method you choose that it is consistent and recognizable, becomes second nature to the person seeking answers. Student of Science or Philosophy. 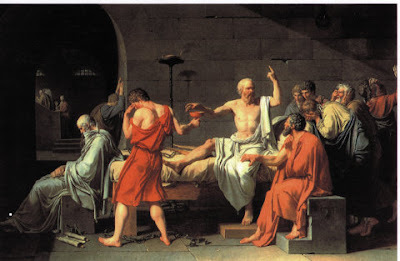 Death of Socrates by Jacques Davidthis picture depicts the closing moments of the life of Socrates. Condemned to death or exile by the Athenian government for his teaching methods which aroused scepticism and impiety in his students, Socrates heroicly rejected exile and accepted death from hemlock. I think the idea is and can be unique, in that each can develop a process and means to an end( many travel far and wide while they should have never left home), that would allow this creative aspect of being "in the now" has potential. To be able to allow insight to manifest and spread across the mind in such lightning speed. It thusly leaves no doubt. This is a condensible feature of the complexity of information to be distill to it's essence. IN an abstract world, a rain drop can hold quite an lot of architectural meaning. Plato defined a philosopher firstly as its eponymous occupation – wisdom-lover. He then distinguishes between one who loves true knowledge as opposed to simple sights or education by saying that a philosopher is the only man who has access to Forms – the archetypal entities that exist behind all representations of the form (such as Beauty itself as opposed to any one particular instance of beauty). It is next and in support of the idea that philosophers are the best rulers that Plato fashions the ship of state metaphor, one of his most often cited ideas (along with his allegory of the cave). "[A] true pilot must of necessity pay attention to the seasons, the heavens, the stars, the winds, and everything proper to the craft if he is really to rule a ship" (The Republic, 6.488d). Plato claims that the sailors (i.e., the people of the city-state over whom the philosopher is the potential ruler) ignore the philosopher's "idle stargazing" because they have never encountered a true philosopher before. Ever teacher has their progeny of students as has been exemplified in the context of our modern day scholars. Kip Thorne in relation to John Archibald Wheeler. Stephen Hawking and his doctoral students. Dennis William Siahou Sciama FRS (November 18, 1926–December 18, 1999) was a British physicist who, through his own work and that of his students, played a major role in developing British physics after the Second World War. Sciama also strongly influenced Roger Penrose, who dedicated his The Road to Reality to Sciama's memory. The 1960s group he led in Cambridge (which included Ellis, Hawking, Rees, and Carter), has proved of lasting influence. I have already established this lineage and subsequent comments in relation to Penrose under this heading to exemplify the relationship and perspective in relation to each other externally in the progressive nature of moving forward in science. For Plato, it is no less an important feature that at Socrates bedside he sees the wisdom of his teacher become the "guiding light source" of all that must exchange between those who hold a value to "dimensional significance in abstract" in our current day, would be able to see the world in a most significant way. It's no less progressive then, that such an example was given to an extent that the thought process of the Gendankin, would be set before Plato's own students, as John Wheeler did for his, to see that Aristotle is most selectively announced as a most brilliant student by answering to Plato's analogy of the Cave. Who becomes an extension of the "arche in principle" as one end being science, and in a open sweeping hand, to all that is for ever exemplify in the "arche contained" in the heading of this blog above. 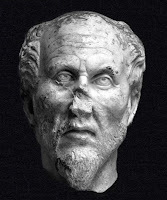 Plotinus (Greek: Πλωτῖνος) (ca. AD 204–270) was a major philosopher of the ancient world who is widely considered the founder of Neoplatonism (along with his teacher Ammonius Saccas). Much of our biographical information about him comes from Porphyry's preface to his edition of Plotinus' Enneads. For example, thought cannot be attributed to the One because thought implies distinction between a thinker and an object of thought (again dyad). Even the self-contemplating intelligence (the noesis of the nous) must contain duality. "Once you have uttered 'The Good,' add no further thought: by any addition, and in proportion to that addition, you introduce a deficiency." [III.8.10] Plotinus denies sentience, self-awareness or any other action (ergon) to the One [V.6.6]. Rather, if we insist on describing it further, we must call the One a sheer Dynamis or potentiality without which nothing could exist. [III.8.10] As Plotinus explains in both places and elsewhere [e.g. V.6.3], it is impossible for the One to be Being or a self-aware Creator God. At [V.6.4], Plotinus compared the One to "light", the Divine Nous (first will towards Good) to the "Sun", and lastly the Soul to the "Moon" whose light is merely a "derivative conglomeration of light from the 'Sun'". The first light could exist without any celestial body. While the arche then becomes a understanding and significant addition to ever place that self evident becomes real for the individual then how is it that such an relation cannot be seen in the world as a foundation principle to guarantee that they are on the right track. To see that "correlation of cognition" places a role in the factual attainment of information. No matter how insignificant or trivial the relation, as common knowledge, it becomes a reinforcing measure of how one is adapting and applying this model, which allows confidence to be built in pursuance of knowledge and truth. How is it one is to picture the emotive content that surrounds us , and in a comparative view assign it to the emotive quality of Earth's Environ. It's storms and raining waters that cleanse, bring tears to the eyes, and in a moments release, all that is pent up rains from the cloud of distress. So chaotic then one is to perceive the reality they live in. Such uncertainty at levels that create a haze of any time valued determination becomes the clouded colour of reason, that is baseless and motivated by the fires in the heart of anger and revealed in the pain of a lesson. Held to the Earth's Environ according to our placement of the materials in the expressive nature of some inspirational phase change that holds seeds of the entropic balanced of order.To make Earth more human. 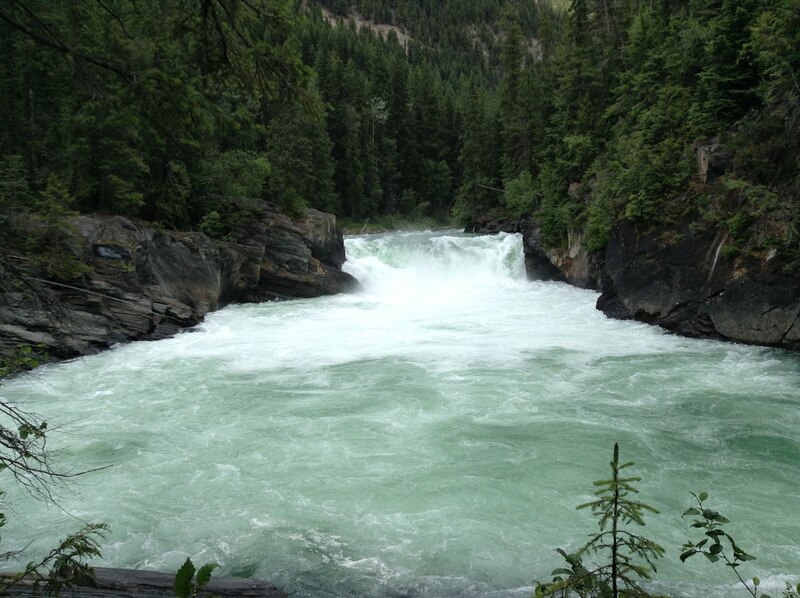 It's peaceful places of waterfalls and it's deserts, devoid of the greenery. How dry and taxing this distress hidden in the winds. The basic expanded network structure of the icosahedral water cluster is mechanically strong, having close to tetrahedrally-positioned bonds, and could be found in the, as yet undiscovered, alkane C280H120; made up of twenty C14 tetrahedral sub-structures. Using the AMBER force-field, the average C-C and C-H bond lengths and bond angles were 1.533 Å (SD 0.014 Å), 1.091 Å (SD 0.0001 Å) and 109.46° (SD 1.47°) respectively. A super cluster of thirteen water icosahedra, showing the tessellation ability. 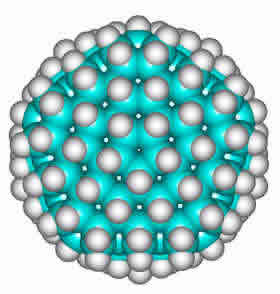 Thirteen complete but overlapping icosahedral clusters form this super-icosahedral structure (an icosahedron of interpenetrating icosahedra; that is, a tricontahedron) containing 1820 water molecules (an outer shell of an additional 360 water molecules is also shown). This structure is for illustrative purposes only of the type of superclustering possible. 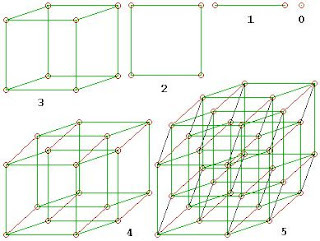 It is not likely to be a preferred minimum-energy structure due to the increased strain on full tessellation ; However the icosahedral structures can form part of fully tessellated clathrate I-type structures. I thought I would borrow the title of this blog posting, "Bringing the Heavens Down to Earth," as it exemplifies some of the understanding I have of what is happening we point our fingers to the sky and beyond. What we shall see taking place in the earth's Environ then as we recognize Earth's Earthbound? The ole woodcut above I think explains this nicely. It's like "breaking a barrier" that has been imposed on our thinking. Too reveal, that the experimental procedures had been progressive and laid out the understanding of where new physics shall reside. It comes after the cross over-point, and in this respect it is important that we recognize where this focus is allocated to help orientate in a most generalizable level where such experimental procedure has taken us. Peter Steinberg, when at Quantum diaries, lead us through this. The creepy part of these kind of discussions is that one doesn't say that RHIC collisions "create" black holes, but that nucleus-nucleus collisions, and even proton-proton collisions, are in some sense black holes, albeit black holes in some sort of "dual" space which makes the theory easier. Cosmic rays have been long been recognized as a background to the search for rare new physics processes in collider experiments. This was the case for the LEP detectors and it will certainly be the case for ATLAS and CMS. A thorough understanding of the development of cosmic rays in the overburden of ATLAS will be a useful tool in understanding the cosmic ray background and consequently how to minimize this background. This page is aimed at those of us who wish to use the tools developed by the group working on simulating the development of cosmic rays (mostly muons) in ATLAS with a view to studying cosmic ray backgrounds to future searches.